Home / Unlabelled / Must Adama Barrow Learn This Hard Way? Must Adama Barrow Learn This Hard Way? It was all over Google, it has even got viral. But the stories has been confirmed not be true. 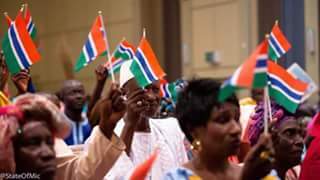 The Gambian president elect, Adama barrow is still alive and well. But there is still a lesson for us all to learn on how to use this our mouth with discretion. So, sorry Adama Barrow that things have come to this level. To a level of his being alive or not becoming a subject of hypothesis!